Having spent most of my adult years in London with access to a small garden I have on occasions tried a bit of fruit and veg out the back of the two up two down. Now spending more time in the west of Ireland I decided to give it a go here. I went with rocket, tomatoes, runner beans and strawberries. Being the optimistic type I decided I would like to grow the tomatoes from a hanging basket. Not knowing anything about tomatoes I randomly picked two varieties – a cherry and a normal tomato. I also grabbed a few strawberry plants, packets of rocket and bean seeds. Looking back, I suppose my results reflect my have a go approach. The tomatoes were not the hanging basket type, the strawberries there the common sort available in all the supermarkets and slated by every gardener online, the rocket went to seed the one hot weekend I went away. 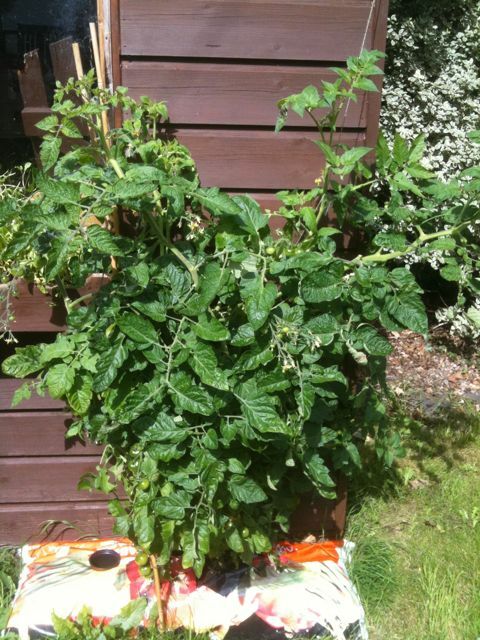 On top of that I decided to grow the tomatoes outside in the damp Galway climate! Enter blight and a rush to make green tomatoe chutney (check out Keith Floyd on bbc site). Next year I should put a bit more thought into it I suppose. Did you know that strawberries dont do well year one? Naw me either, and Im guessing they grow well in Wexford for a reason! My one success is the runner beans and boy do I love them for dinner every day!!! 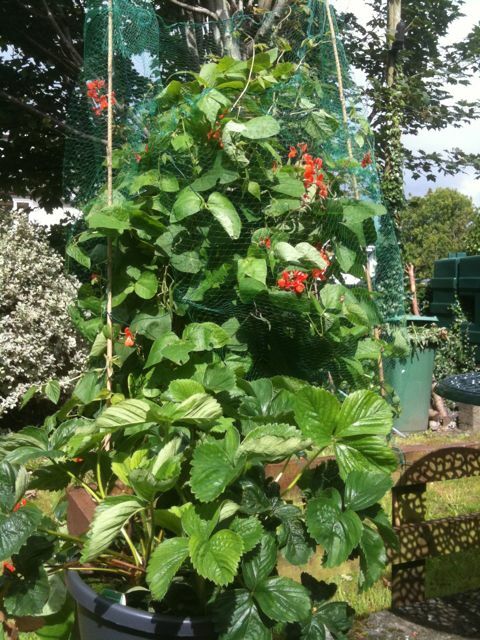 This entry was posted in Nature and tagged Galway, Grow your own, Rocket, Runner Beans, Strawberries, Tomatoes on August 17, 2010 by admin.